If networking is important for getting ahead in most industries, it is life and death when it comes to fashion. It’s said that who you know is as important as what you know. Don’t be intimidated by these ideas, but consider them opportunities—just another way to follow your passion as you head down an exciting career path. The best fashion staffing agencies in NYC are masters at networking, and have laid the groundwork for you. However, it is not enough to walk in the door and ask for a job. A fashion career, whether in marketing, buying, design, modeling, or retail, requires a competitive drive. You’ll be vying for coveted jobs that attract others like you, so you’ll need to bring your “A” game to every interview, even when approaching fashion search firms in NYC. 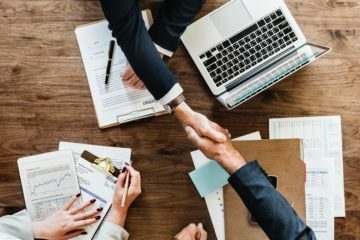 Why is networking so important? It all has to do with standing out in a crowd—that is your goal, after all.2 The recruiter or human resources person is flooded with resumes when a position opens up. There’s a limited chance that your email or application will ever be read, let alone selected for an interview. If you have gotten to know decision-makers before they start recruiting for an opening, they are somewhat familiar with you on a one-to-one basis, whether you’ve just shaken hands at a networking fair, or sat in their office for an informational interview. 1 – Attend fashion networking events and career fairs to find an industry-wide sampling of businesses, jobs, and advice all in one place. Industry pros come to offer valuable knowledge to those starting out, and they’re open to taking time for inexperienced people, or professionals looking to grow within the industry. They are often experts who might be inaccessible at other times, behind closed doors in a high pressure, fast-paced daily work environment. Go online and study the guest or exhibitor list before the event, so you can narrow things down to your primary targets.1 Visit as many booths as you can, collecting cards from each one. Attend any seminars offered and introduce yourself to the speaker afterward. Ask for a card from every contact you make, and follow up with an email the next day, thanking them for their time and their contribution to the event. Remind them about your brief conversation, or, if appropriate, let them know you are interested in their job opening. 2 – Reach out to decision-makers in fashion companies. 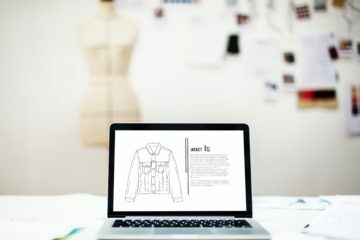 This can be scary the first time or two, but you may be pleasantly surprised at how willing fashion professionals are to encourage new people toward success. Even if you are established and looking to advance, you will find some who are receptive. Don’t give up after trying one or two companies if you fail to get a response. Move on to the next one. Start with an email, and follow with a phone call or message to get through. Let them know that you admire something specific about the company, that you are looking for advice on how to make your way in the industry, and that you’d like to take just a bit of their time to ask a few questions. By all means, DO YOUR HOMEWORK before the meeting. Look up the company and the individual online so you can ask intelligent questions and, ideally, make a connection you will keep and cultivate as a friend or mentor. Put these two strategies together, using the outreach approach for a meeting with individuals you meet at events. You stand a greater chance of a) landing a meeting, and b) landing a job. All of your online presence—your LinkedIn, Facebook, and other social media pages—counts as necessary back-up to the face-to-face contacts that make all the difference in your pursuit of long-range career goals.2 When applying through fashion recruitment agencies in NYC, your goal is to enlist their help in opening doors to your future. The better prepared you are for an agency interview, the better your chances of being referred to the top spots. 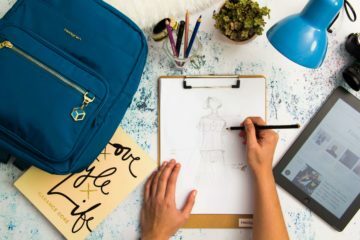 Before you can nab the really big dream job that will launch your fashion future, there are a few more things on your to-do- list. Give some thought to how you will dress for an interview or for networking meetings and events. Fashion is one industry that leaves a little room to express yourself through dress, but don’t assume that anything goes. There’s no need to go out and buy the label to wear, but keep in mind the image projected by the fashion brand you are targeting, and mirror that, within reason. While you are on the outside of a company, stay within professional attire, even when showing your fashion flare.1 Once you’re on the inside, you’ll see the company culture and can adapt your wardrobe accordingly. Begin by networking within your school, even if you are just taking one fashion-related class. Faculty members are not only experts in their fields, they are connected. Don’t miss a single opportunity to approach them and ask for referrals and career suggestions. Every school offers some type of internship program. Spaces may be limited, and timing is important, so start looking for a way in as soon as possible—usually by faculty referral. Often, fashion students who perform well during internships are offered a permanent position. Even if you don’t win that prize, you will have gained genuine, on-the-job experience that can’t be beat when you apply for your next job opportunity. Plus, you’ll have spent all that internship time using what may remain the single, most important career advancement tool—networking! Who else should you target for networking? If you’re already a fashion business owner, reach potential clients through networking events that will attract them—not necessarily fashion-related events. Seek out business and community associations, as well as non-profit or charitable groups where you can contribute time and skills. You’ll accomplish something positive to help others, and you will build relationships that, in turn, will help grow your business. This is also a great way to find potential employees as your need for staff increases.